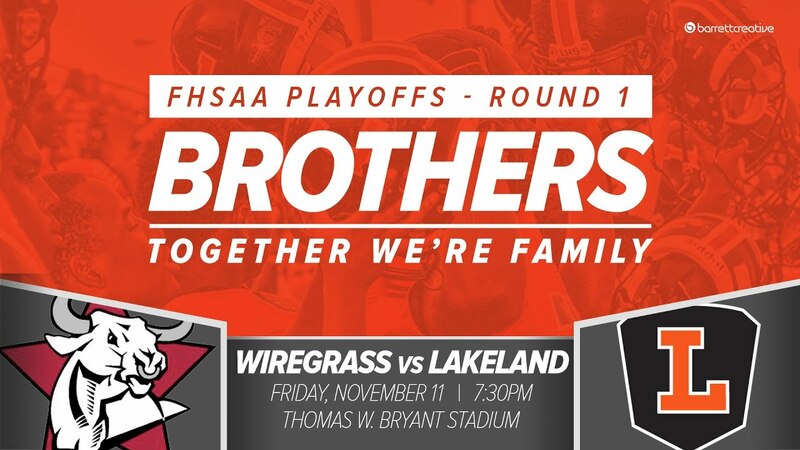 The Wiregrass Ranch Bulls football team lost to the Lakeland Dreadnoughts, 43-7, this past Friday night in the first round of the FHSAA playoffs. This was the second year in a row that the Bulls suffered a playoff loss to Lakeland. After ending the season with a 7-3 record, the Bulls were matched up with the Dreadnoughts who ended with a 10-0 record. Last year’s game between these two teams in a second round match-up saw Lakeland win 52-0. Coach Mark Kantor knew that this match was going to be tough but looked to use the momentum of beating Auburndale in their final regular season game. The Dreadnoughts scored a combined 43 points in the 1st half, shutting out the Bulls. The game started with a forced safety to put Lakeland up 2-0. 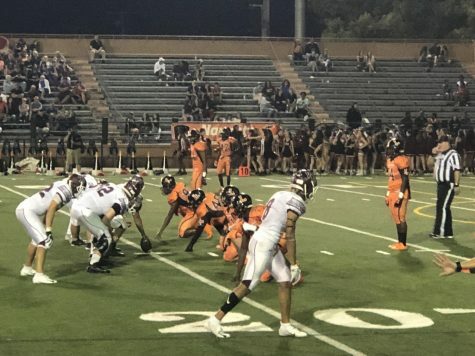 This was followed by four rushing touchdowns by Lakeland Running Back Demarkcus Bowman, who is a 4-star recruit and has offers from Alabama, Ohio State, Florida State and more. After his performance Friday night with a couple of great touchdown runs, Bowman has ran for more than 1,500 yards in the season for a run-heavy offense. The Dreadnoughts’ Quarterback, Dywonski McWilliams, also ran for a touchdown and threw one late in the 2nd quarter to Wide Receiver G’darian West. The Bulls were able to end on the right foot at the end of the 1st half as they recovered a muffed punt. The Bulls held their own in the 2nd half, refusing to allow Lakeland to score. As the game went into the 3rd quarter, the Dreadnoughts once again drove deep into the Bulls field, but Wiregrass was able to stop the bleeding as they forced a fumble. 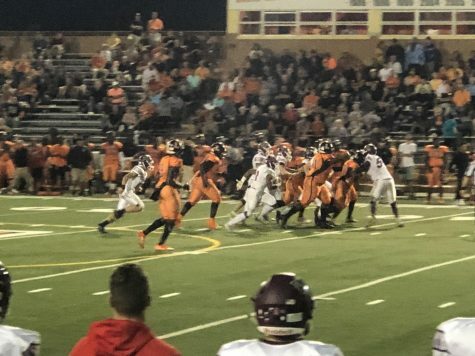 This started an offensive drive by the Bulls that followed into the 4th quarter, ending with a short run by Running Back Nathan Miller for a touchdown, putting the score at 43-7. This ended up being the final score of the game as time ran out. Center Berit Dhungana had some optimistic words after the tough loss on Friday, looking forward to next year. This was the final game for all seniors on the team, including star Quarterback Grant Sessums. He enjoyed his time playing four years for the Bulls. The Bulls look to bounce back stronger next year, ending 7-4, while the Dreadnoughts, 11-0, will face the Kathleen Red Devils in a second round FHSAA playoff showdown.